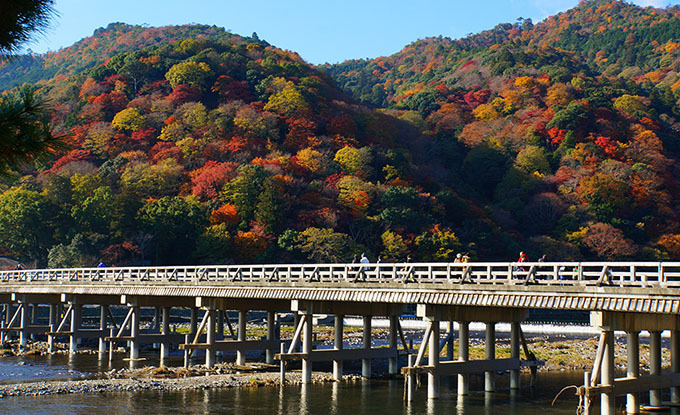 Arashiyama is Kyoto Prefecture tourist destination. It is the attractions of cherry blossoms and autumn leaves that have been selected in Japan Sakura attractions 100 selections. Nearby is Okochi-Sanso and Tenryu-ji of world heritage, foliage season each year, crowded with many people. Kyoto Every year in December as a new tradition of night, the Arashiyama-Sagano zone tie in open field lantern lights and flowers “Kyoto Arashiyama Hana light path” will be held. Posted in 洛西エリア and tagged 桜名所, 紅葉名所.